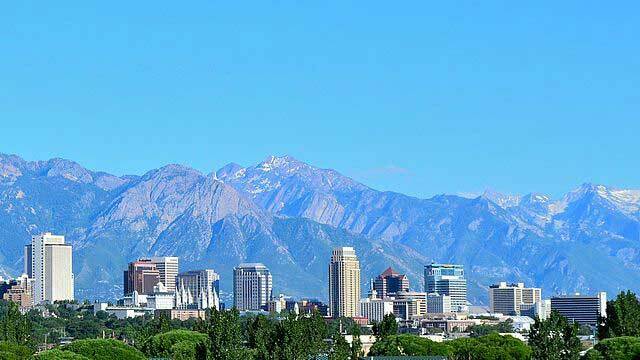 Salt Lake City is the capital of the state of Utah, located in the Rocky Mountains with a population of approximately 191,180. 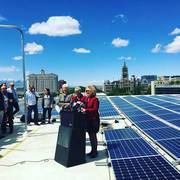 On July 12, 2016 the City Council signed a Joint Resolution, which had been proposed by Mayor Biskupski, calling for a community wide transition to 100% renewable electricity by 2032 to support a greenhouse gas reduction target of 50% below 2009 levels by 2030 and 80% below 200 levels by 2050. This action was preceded in January 2016 by a City Council commitment to cover 100% of government electricity demand with renewables to enable carbon reductions of city operations. 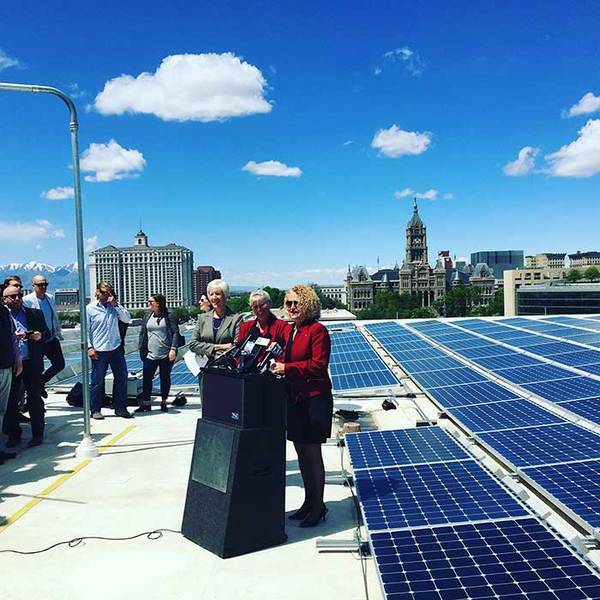 This goal is part of the July 12 Joint Resolution, which calls for electricity used by city government to be all renewable by 2020. The city decided to focus on the electricity sector because it is responsible for 54% of its greenhouse emissions. 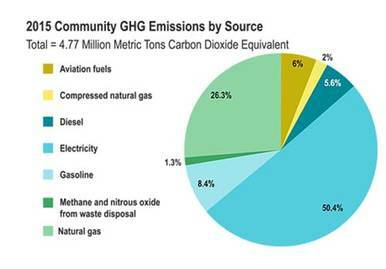 The city is additionally planning on reducing emissions from other sources, which are broken down in the chart below. 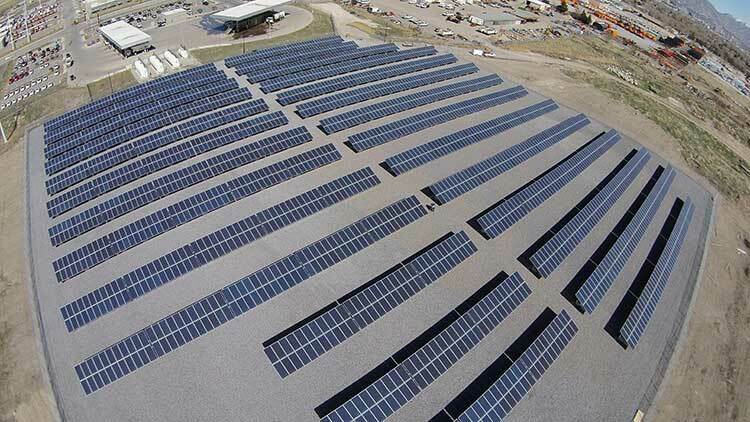 New renewable energy purchase programs like Rocky Mountain Power’s Subscriber Solar program, which allows the utility's customers to buy 200 kilowatt hour blocks of electricity generated by a regional 20 megawatt solar farm and have this included in their power bill. 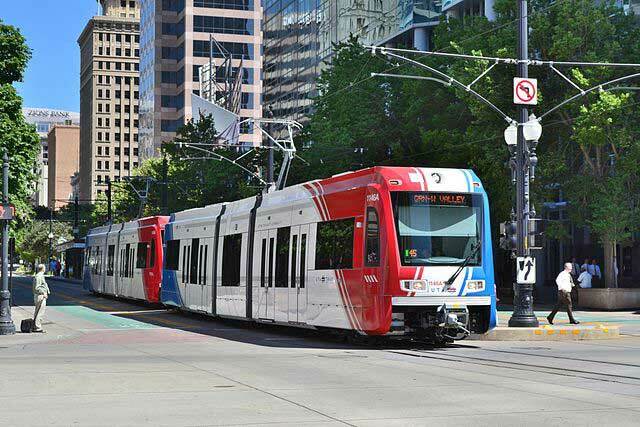 Promoting sustainable transportation solutions like investing in biking infrastructure, public transit, and electric vehicle charging. Engaging the community via partnerships like the Utah Climate Action Network, which fosters multi-stakeholder dialogue around local climate protection solutions.